The Tata Xenon is one of the most undervalued product sold by the Indian car maker. Being a pickup truck, it is sold in the country via their commercial network. In Australia though, it is the only product listed in their passenger vehicle line-up. The Xenon is set to get a minor, mid-life update soon. Spyshots of uncamouflaged test mules have been spotted by a TeamBHP reader. While the units seem to be very similar to the present version, careful observation reveals that it sports a redesigned front grille with minute changes to the front bumper and fog lamp enclosure. Rest of the vehicle remains almost similar to the existing version. The majority of the changes though will be limited to mechanicals. The bigger 3.0 litre mill, which is available in different tunes and emission specifications, is expected to be replaced by the 2.2 litre engine. That too in the higher spec 156 PS and 400 Nm trim as seen in the Safari Storme and upcoming Hexa. No, we are not done yet. For a higher trim, Tata this time, will be offering an automatic transmission! 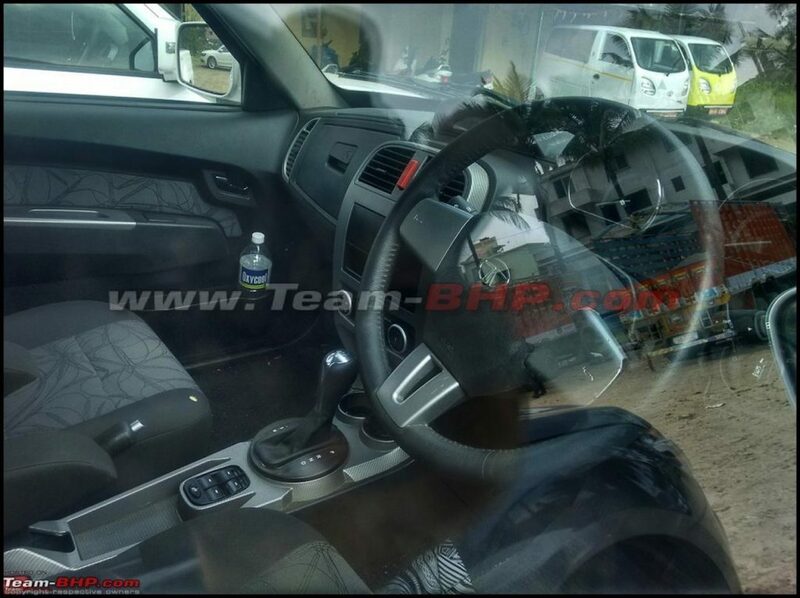 The spyshots also reveal another pickup truck. And before you assume that it is a premium product Tata has on cards, hold your horses. It is rather the Ford Ranger, one of the best product available in the segment globally, possibly being used by Tata to benchmark the Xenon. Now there is also the possibility that this update may be limited to export markets, after all, sales of the Xenon has not been very encouraging. But hey, fingers crossed!